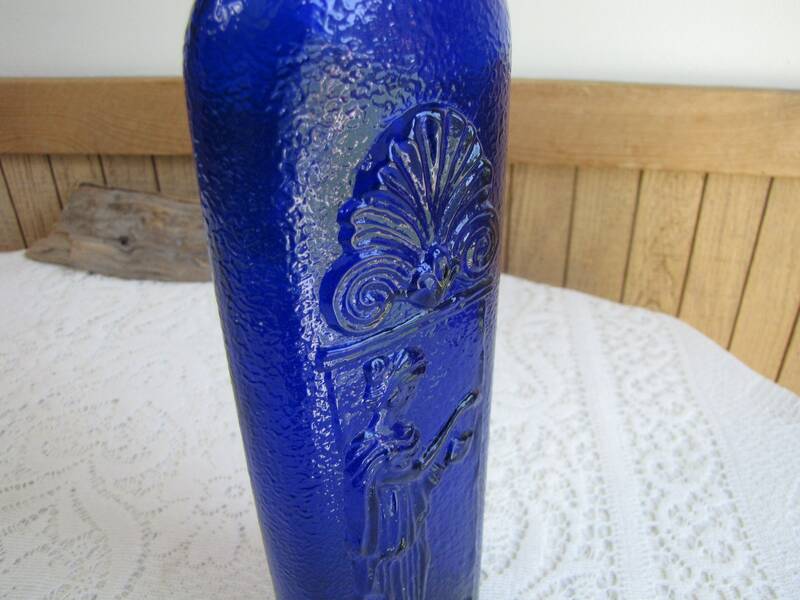 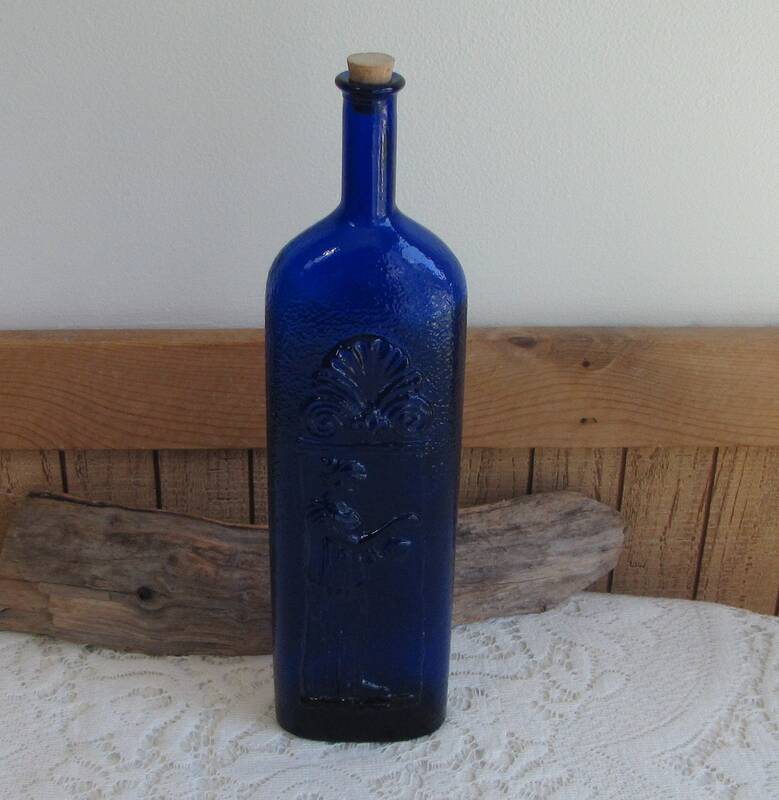 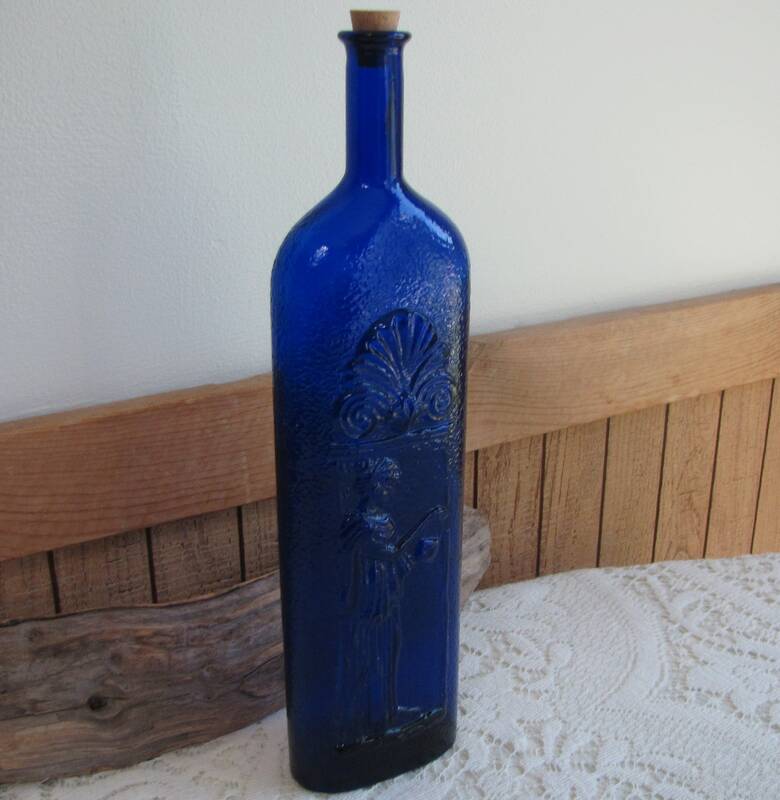 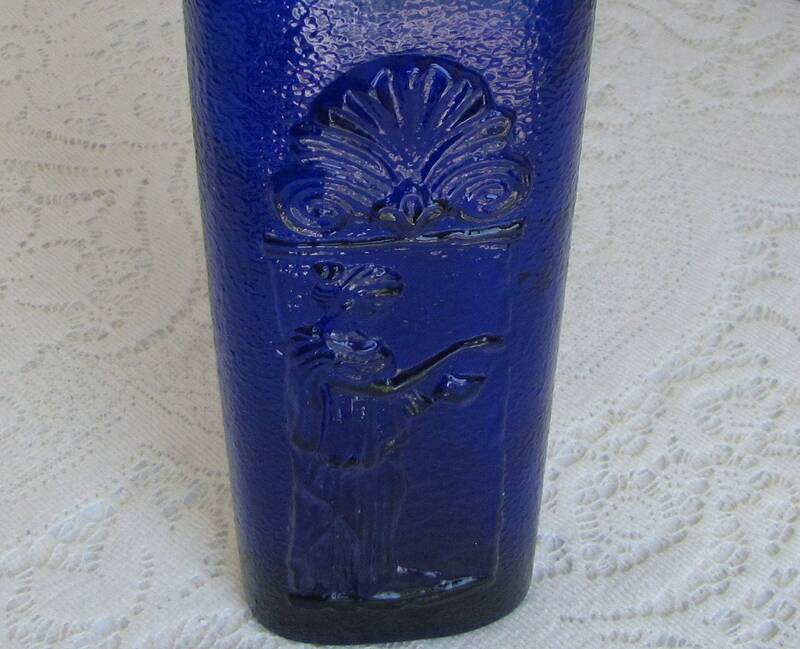 A tall, thin cobalt blue liquor bottle that is in very good vintage condition; no chips or cracks. 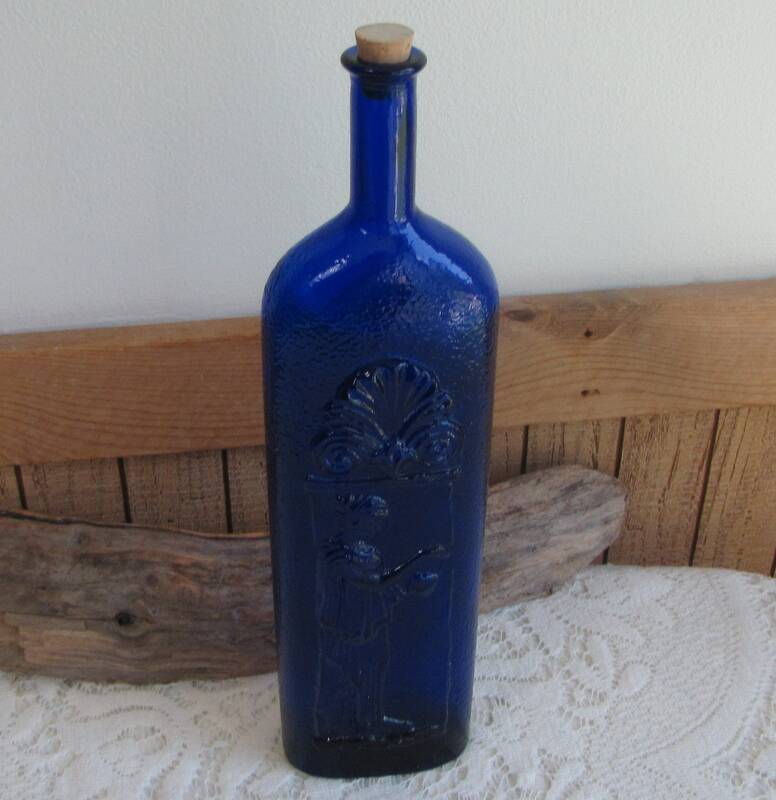 I do believe that the cork is new and not the original. 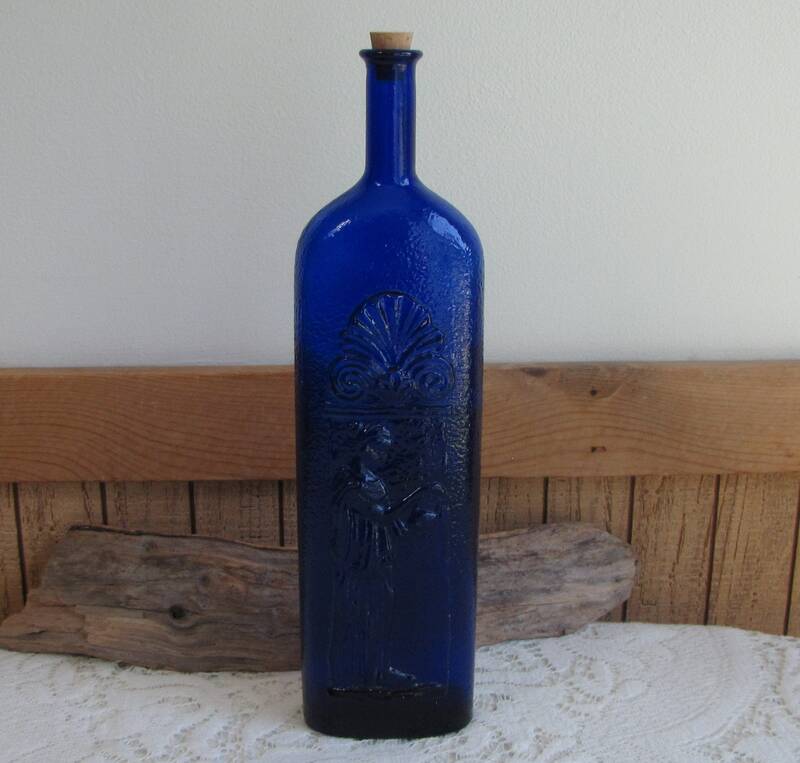 The bottle measures 12.5 inches tall and is 3.25 x 1.25 inches at its base. 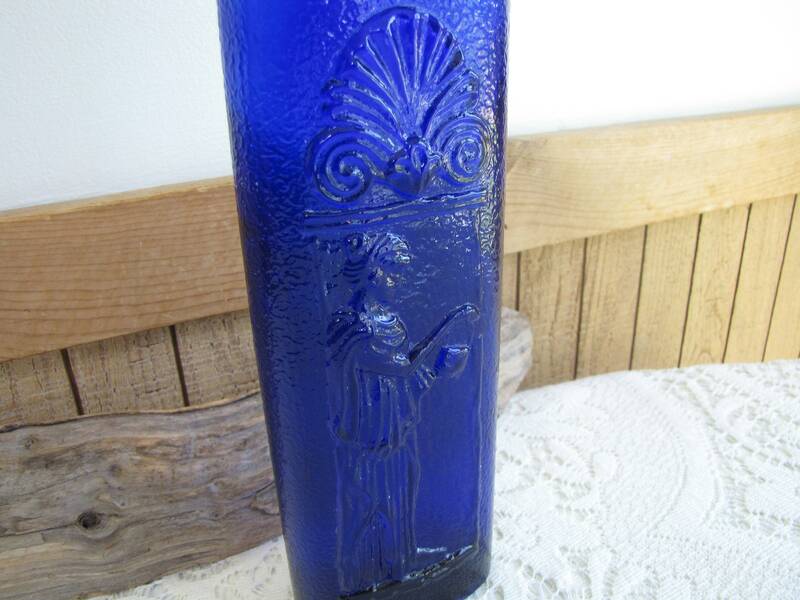 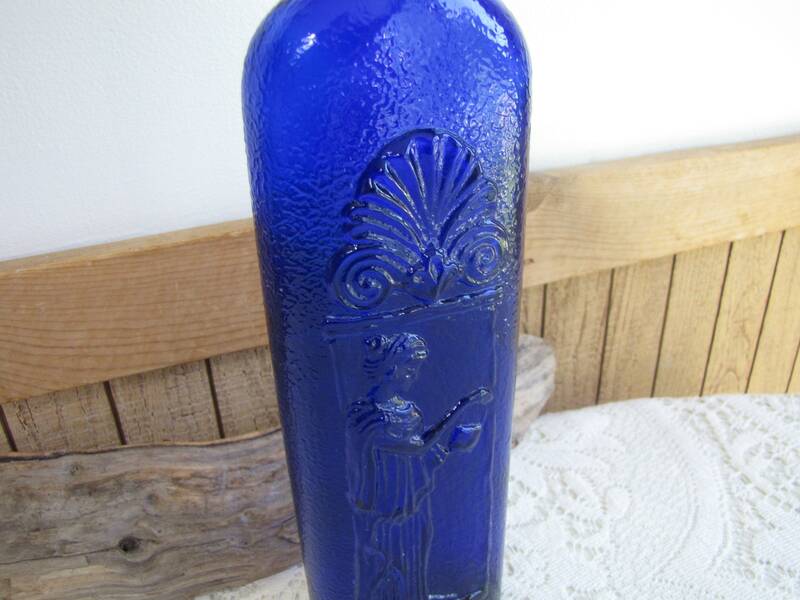 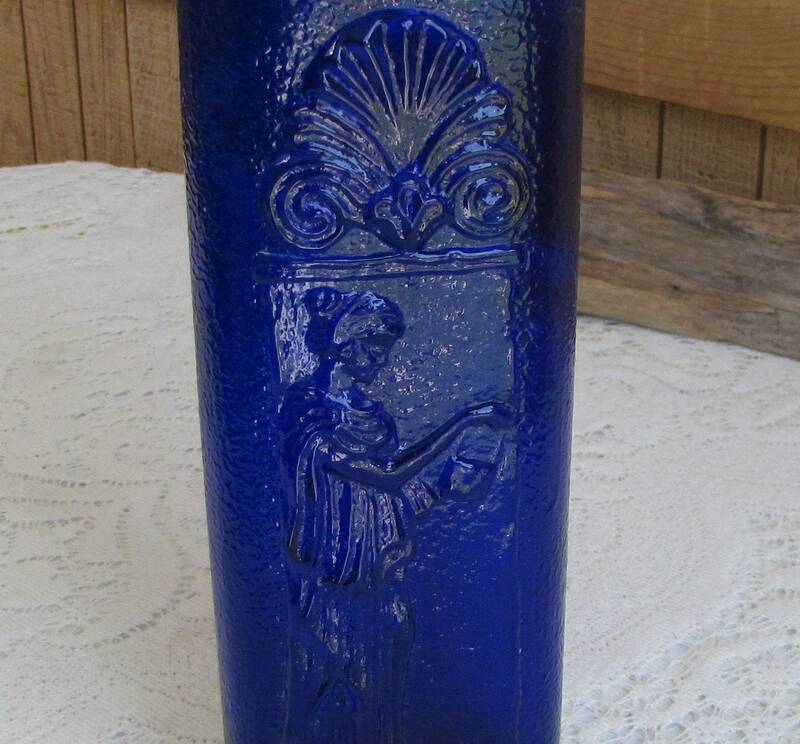 The bottle has a Grecian-styled lady embossed on the glass that looks like she is pouring from a pitcher.